Mayor Boris Johnson has come under fire for his office’s recommendation that municipal trucks spray saline solution along busy streets to reduce air pollution levels before the upcoming London Olympics. The “dust suppressants” behave like a glue, attracting dust particles to the ground so that they stick to roads instead of floating in the air. The process is used in 15 different sites across London, all of which, the director of a local non-profit points out, are close to government air quality monitoring stations. Simon Birkett, Director of Clean Air London, accused the Mayor’s office of spraying the suppressants before air readings are taken to monitor pollution levels. The controversy surrounds the measurement of PM10 particles, tiny particles of dirt and soot that can trigger heart and lung problems over time. As much as 40 percent of PM10 particles in London come from outside the city, often from fires in rural areas or even from the Sahara Desert. To that end a report issued by the Mayor’s office recommended “re-suspension,” i.e. the use of saline solution, to comply with European Commission (EC) air quality rules. Johnson has had a mixed record on air pollution issues. Just last year he pledged extra funds to fight anti-air pollution efforts, promoted bicycle rental programs and extended the city’s low-emissions zone. But he has also scaled back the installation of electric car charging stations and ended a traffic congestion surcharge in London’s western districts. Since 2005 London has struggled meeting EC rules covering PM10 emissions. London officials have repeatedly requested extensions and pollution levels are constantly exceeded in the city’s center. 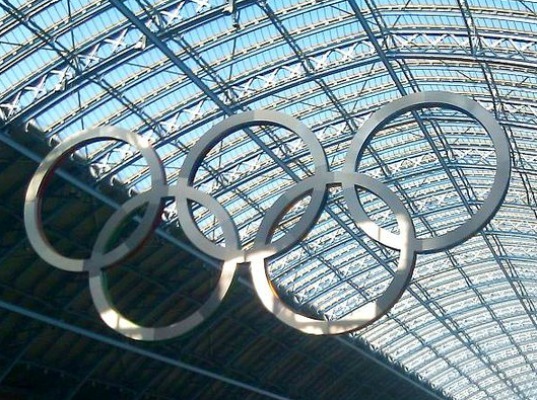 With London on the world stage soon with its hosting of the 2012 Summer Olympics, the situation has become more dire. And a if London does not meet set targets by September, the United Kingdom could face a fine of £300 million ($480 million).